Try out this Blue Cotton Kurta by the house of Rangriti. It features three-fourth sleeves and best to wear casually. Look impressive between friends by wearing this trendy blue Cotton Kurta from Rangriti. Crafted from finest quality fabric, it is comfortable to wear long time. This kurti looks excellent when paired with white leggings. Apart from look, it also ensures breathability due to its fabric. 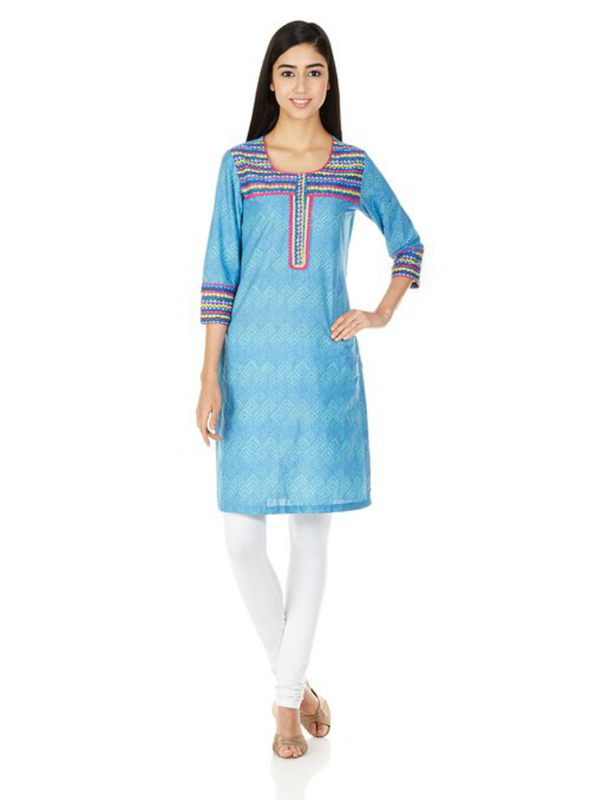 Intricately patterned with rich cotton material, this blue kurti makes an instant steal this season. 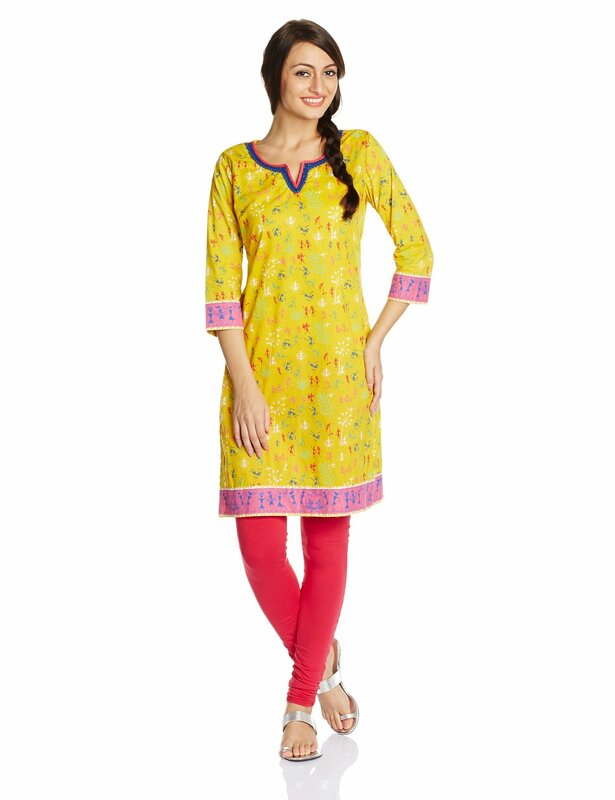 Its round neck and three-fourth sleeves added the extra look to this kurti. Best worn with pastel leggings and flats. This regular-fit kurti promises uber comfort all day long. Soft cotton blend fabric is delicate on the skin. This kurta ensures utmost breathability. Round neck and three fourth sleeves. Wash Care: Wash in cold water, dry in shade.